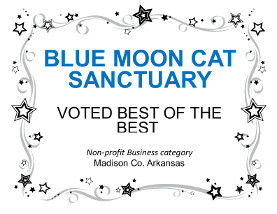 Blue Moon Cat Sanctuary | Less Hiss. More Purr. Our main home-based Adoption Center is open everyday except some Wednesdays from noon until dark. 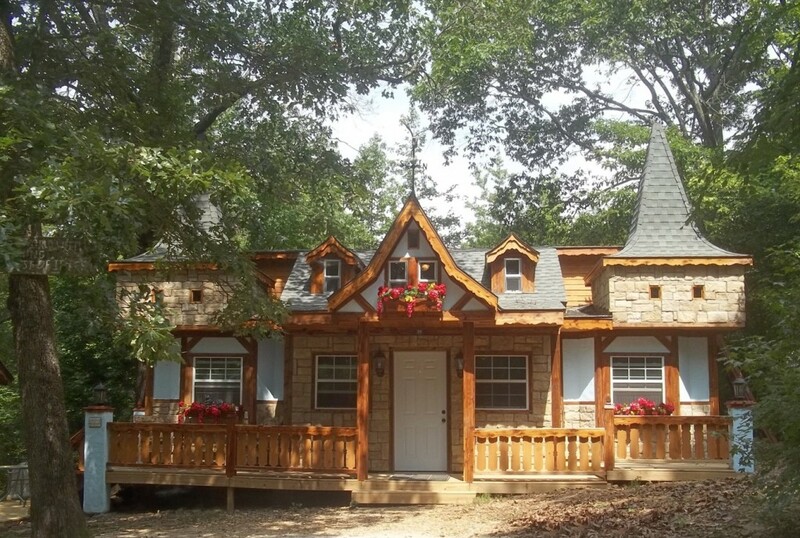 Welcome to the Blue Moon Cat Sanctuary of Witter, Arkansas. We are located on Highway 23 in southern Madison County. We are an exclusive, private, NO-KILL cat and kitten sanctuary that provides our furry companions with a home-style and cage-free, loving environment. Because we strive to give our guests the best living conditions possible, we limit the number of guests to a manageable and healthy level. Our list of guests changes very often so check our site regularly. Click here to view current adoptable guests. We pride ourselves in having very socially friendly cats and kittens. Our adoptions are not limited to Northwest Arkansas alone. We have found homes for many of our guests in Missouri, Iowa, Illinois, Kansas, Wyoming, Colorado, Washington, Mississippi, Louisiana, Florida, Oklahoma, New York, Massachusetts, Tennessee, North Carolina, South Carolina, as far north as Johnson Creek, Wisconsin, and as far south as Corpus Christi, Texas. Our adoption charges are as low as you will find anywhere. We are truly a non-profit shelter. It is our goal and mission to save as many lives as we can, not to make a profit. We are a caring, NO-KILL shelter and must totally survive on donations and contributions to provide the best food, medical care and living conditions that they deserve.